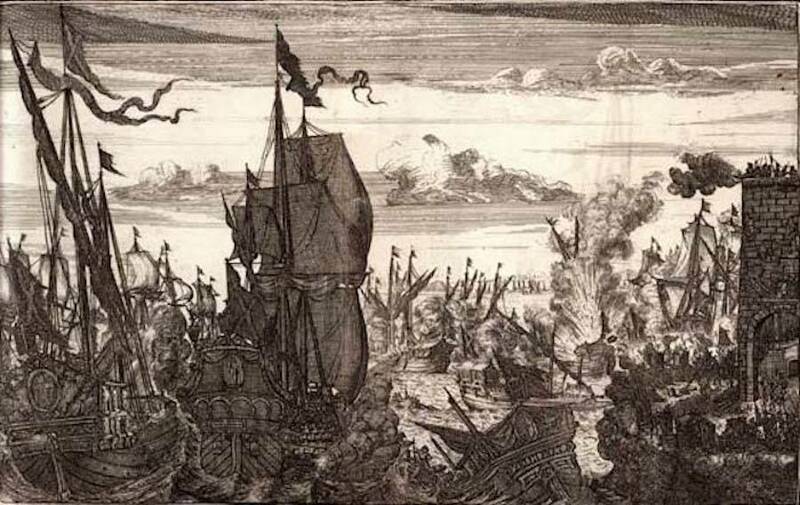 Morgan attacking a Spanish fleet near Venezuela. 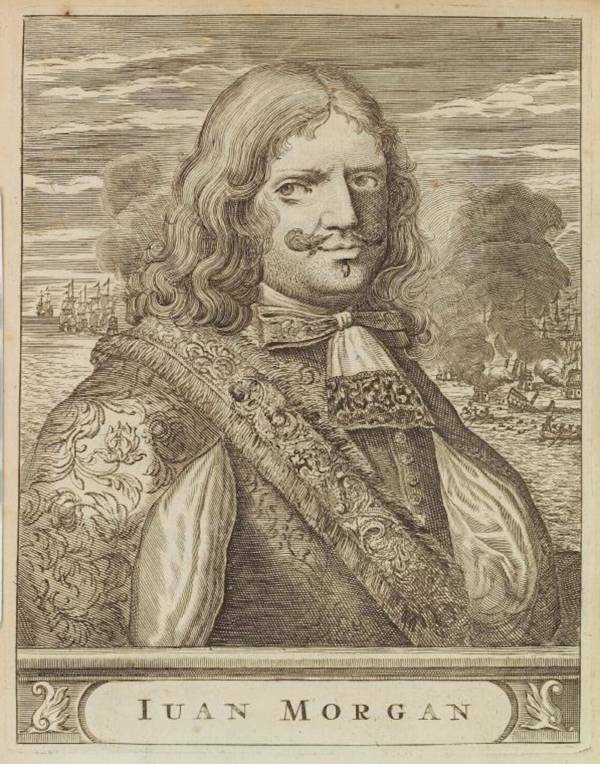 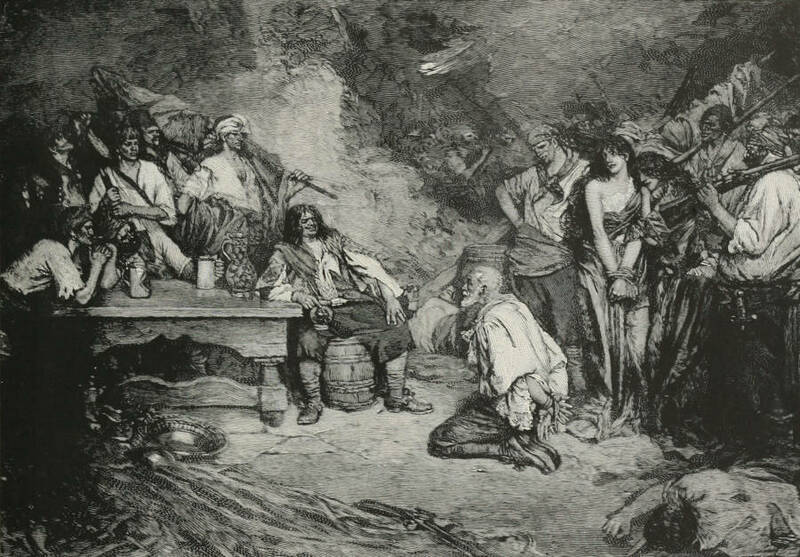 Henry Morgan at Porto Bello. 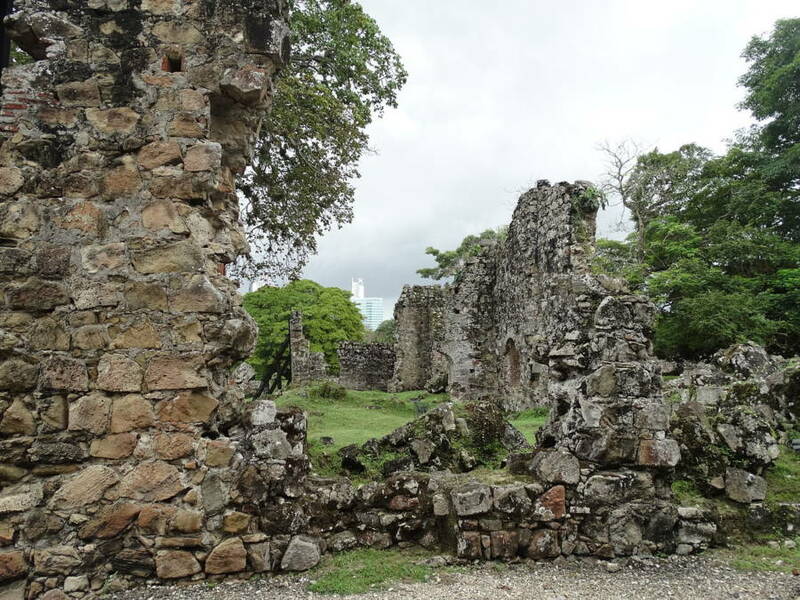 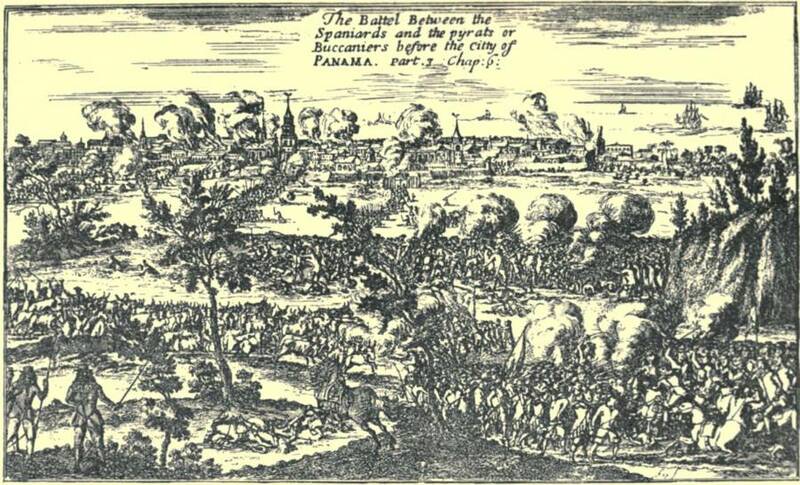 The ruins of Panama City.